Here are four astounding facts about the impact school quality has on area home values. 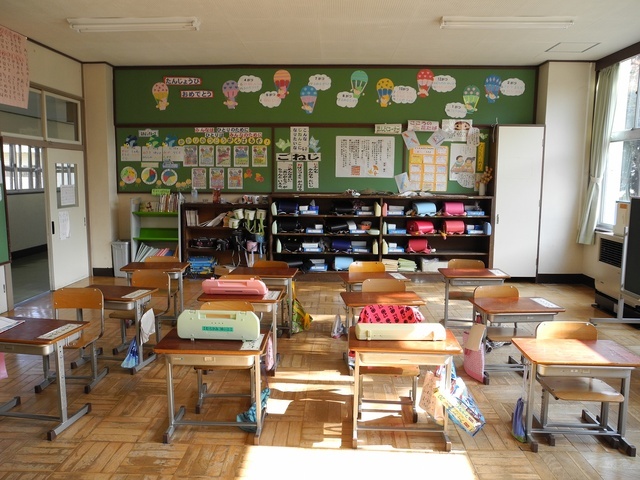 The average estimated home value for homes with at least one good school in their zip code is 77 percent higher than the average home value of homes in zip codes that lack high-performing elementary schools. 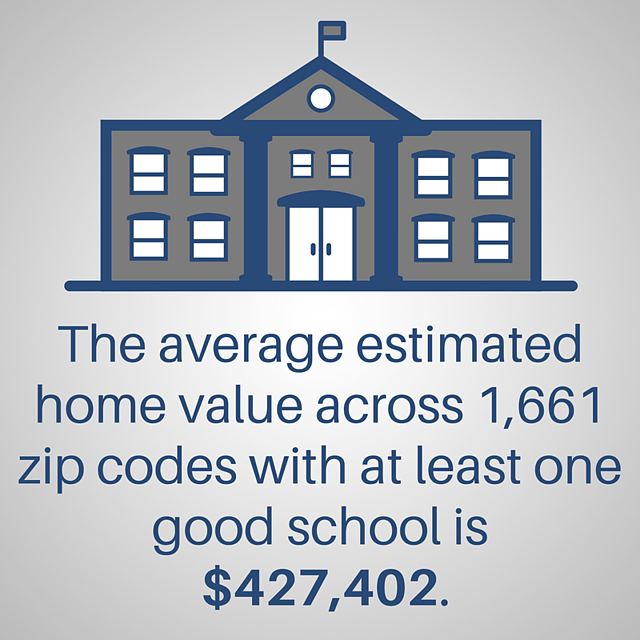 The average home value in zip codes without good schools is $241,096. The value of good schools isn’t only evident in the suburbs. 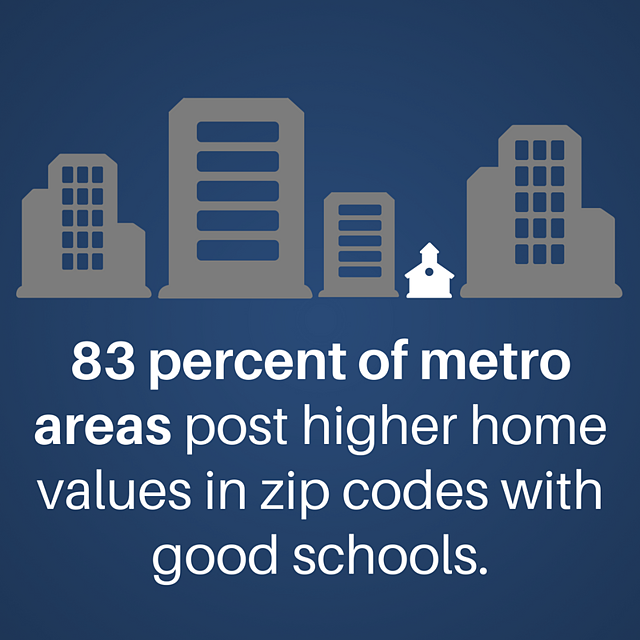 Metro areas in zip codes with at least one good school saw at least 95 percent higher home values in comparison to home values in zip codes lacking good schools. The impact of schools and home values isn’t a new thing, but ATTOM Data Solutions study shows that the importance of nearby schools is becoming an increasingly valuable asset for homeowners. 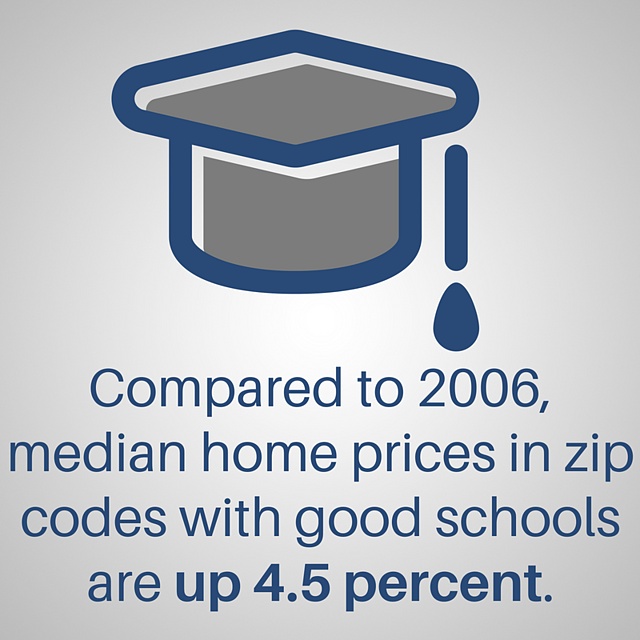 Home values in zip codes lacking good schools were 1 percent less than in 2006. During the housing recovery, home price appreciation in zip codes with good schools has outpaced home price appreciation in zip codes without. The return of investment is also greater for homeowners near good schools. Since purchase, homeowners who live in a zip code with at least one good school have gained an average of $74,716 – 32 percent – return on investment. Meanwhile homeowners who purchased in zip codes lacking a highly-rated elementary school saw average returns of investment around 27.5 percent, or $23,311. 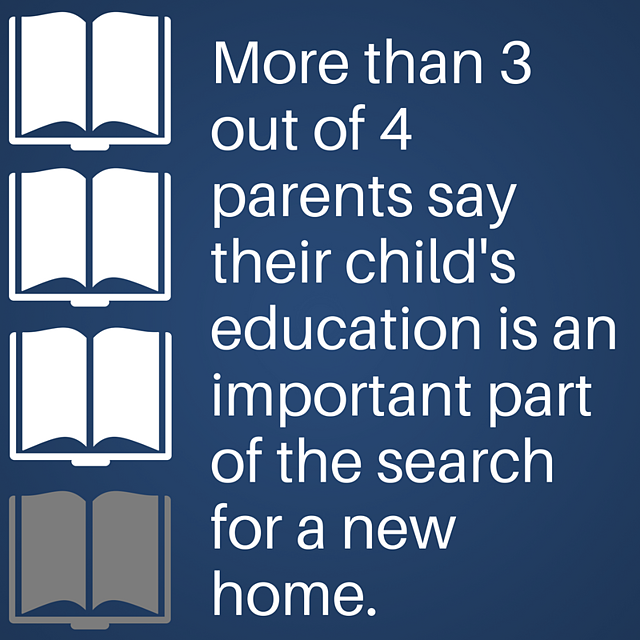 The above statistic comes from a study by Bank of America, which also found that of those 75 percent of people who said their child’s education is an important part of their home search, over half will purchase a home in a specific neighborhood to get their child into a better school. Previous studies that gave insight to home values and schools districts have often brought up the “chicken or the egg” scenario. Do good school districts increase home values or are higher-valued homes build in good districts? 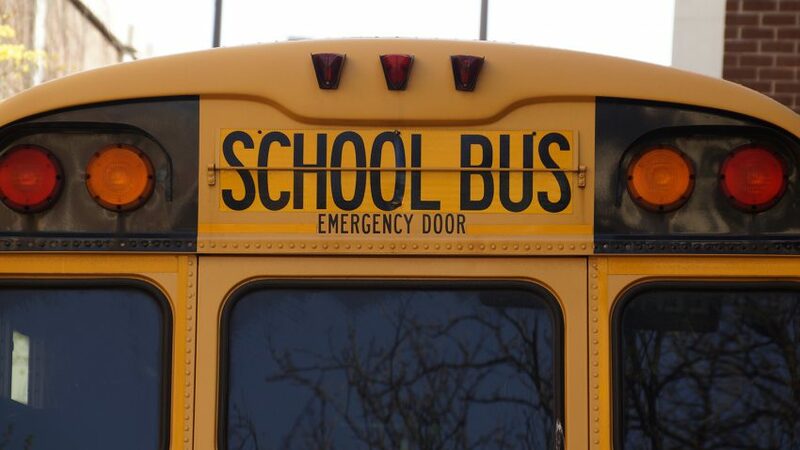 Regardless, homebuyers – with and without school-age children – place high importance on the location of their home purchase and nearby school districts. Nearby quality schools not only boast social stability for homeowners but stability in their investment. Looking to purchase a new home in a different school district, city, zip code, state, etc.? Download our free Upsizing and Downsizing Guide for everything you need to know as a repeat homebuyer.